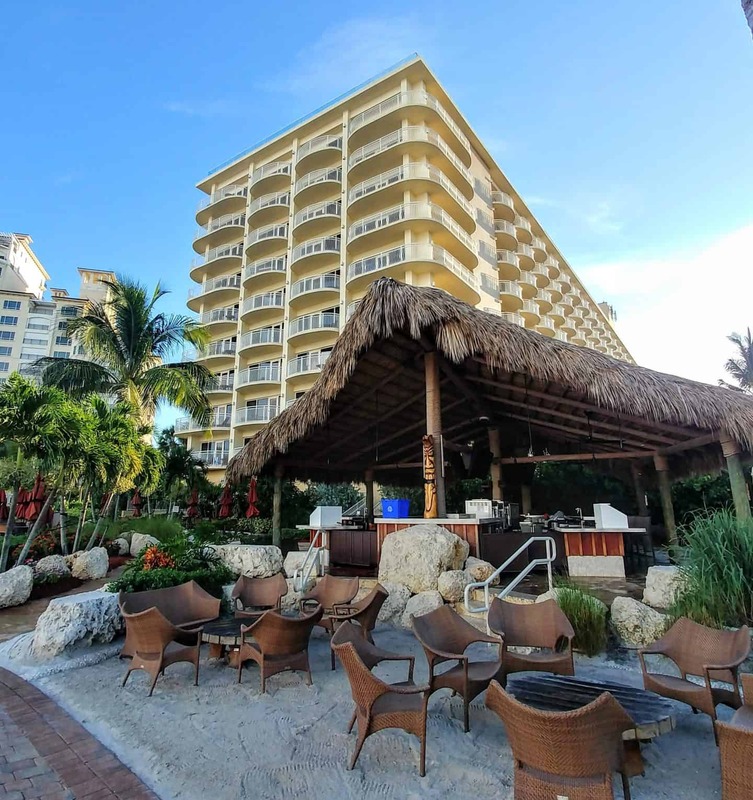 Looking for a hotel on Marco Island? 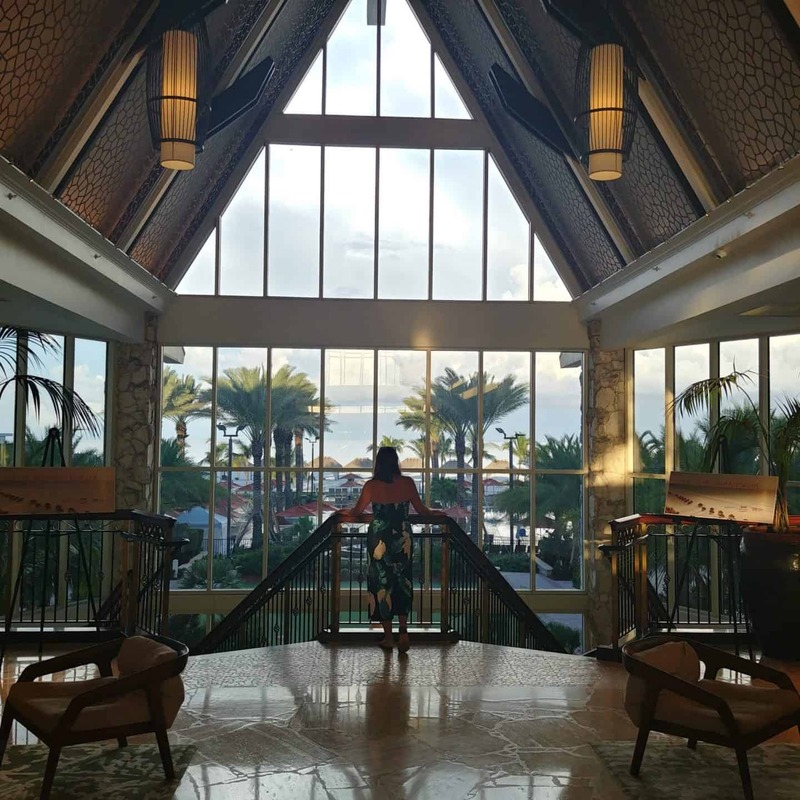 We were so excited to visit the newly renovated JW Marriott Marco Island Beach Resort, one of the best Marco island Florida hotels. I will never forget our first trip to Florida when we decided to hop in the car and just start driving. We spotted signs for Marco Island but had no idea what this was so we had to find out. When we finally arrived at Marco Island, driving over the bridge we knew this was a special place. 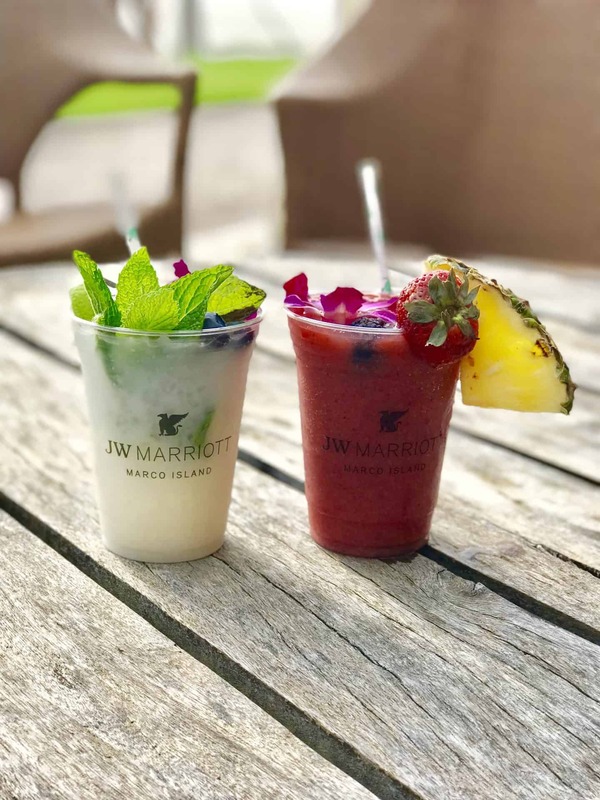 There are so many reasons to plan a stay at the JW Marriott Marco Island Beach Resort Florida, one of our favourite hotels in Marco Island. 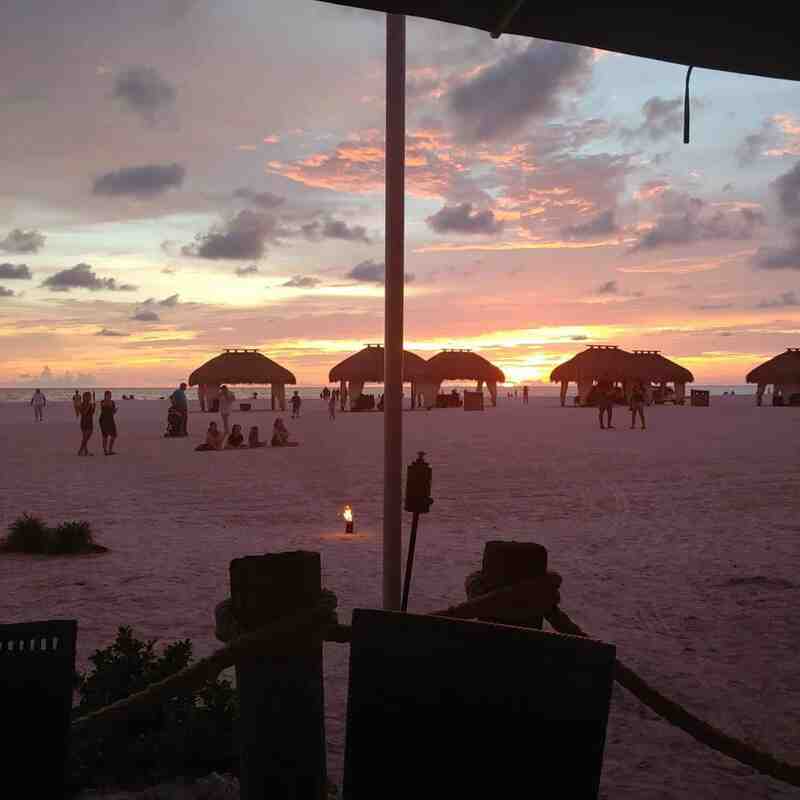 Everything from the restaurants, the spacious rooms, the spa and let’s not forget about the Marco Island sunset. Marco Island is the largest of the Ten Thousand Islands and is located at the southern tip of Florida’s Paradise Coast. This beachfront paradise is located just north of the Gulf Coast entrance to Everglades National Park and 15 miles south of Naples, the island is surrounded by the Gulf of Mexico on one side and pristine mangrove estuaries on the other. Marco Island is home to some of the world’s most beautiful beaches and offers world-class golf courses nearby. Access to the Gulf of Mexico and the mangrove-lined estuaries of the Ten Thousand Islands makes it great for shelling, fishing, boating, bird and wildlife watching, kayaking and canoeing. The closest airport to Marco Island is Ft. Myers International Aiport for international flights. It is a one hour drive to the island. The drive from Ft. Myers International Airport (RSW) is fairly easy. Get on the highway, drive south until exit 1 and take it straight to Marco Island. 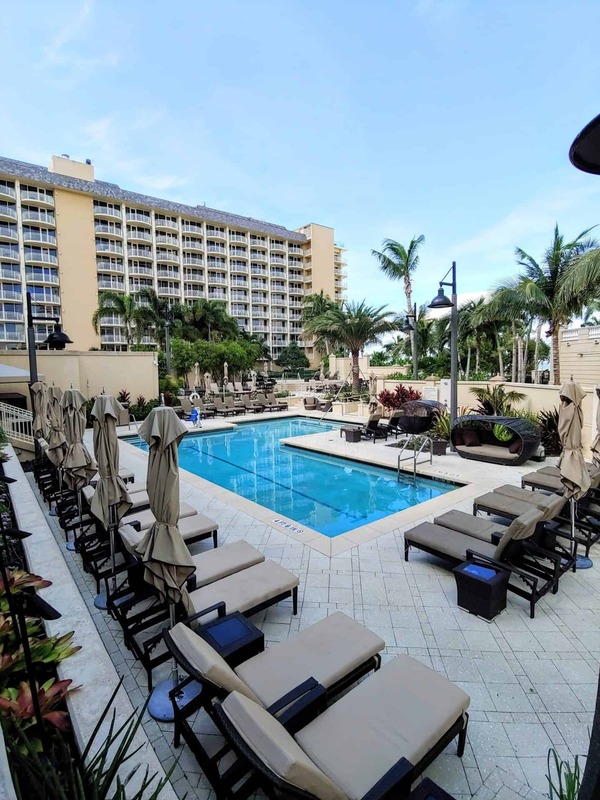 The JW Marriott Marco Island Beach Resort is located on three miles of private white sand beach on the Gulf of Mexico. They have recently expanded and updated the hotel with $320 million in renovations. This resort is a destination in itself with resort activities, children’s programs, A Balinese-themed spa, pools, and golf. 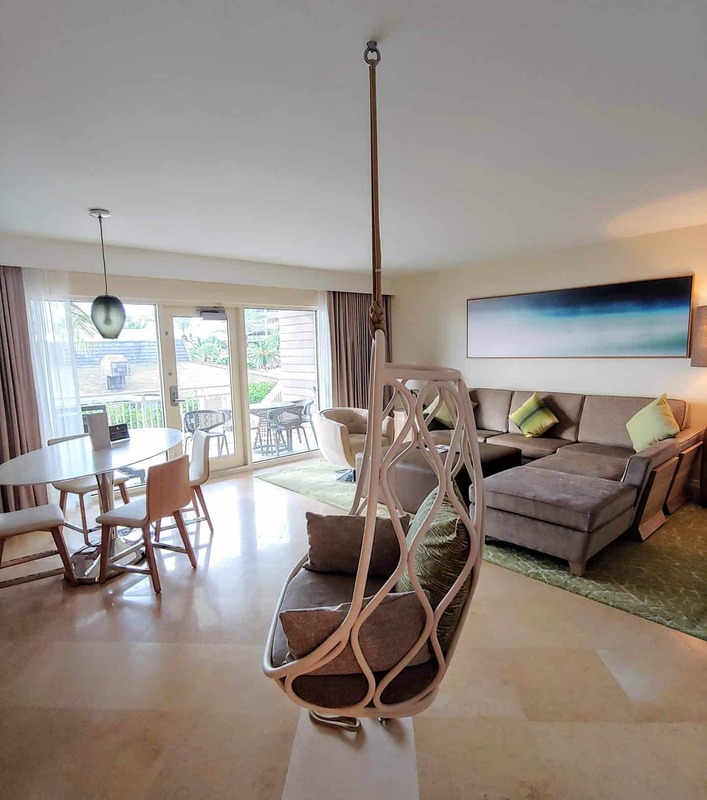 It truly is a resort getaway that is wonderful for couples and families, you won’t want to leave the resort. We stayed in a spacious double queen Gulf front room and it was absolutely stunning. 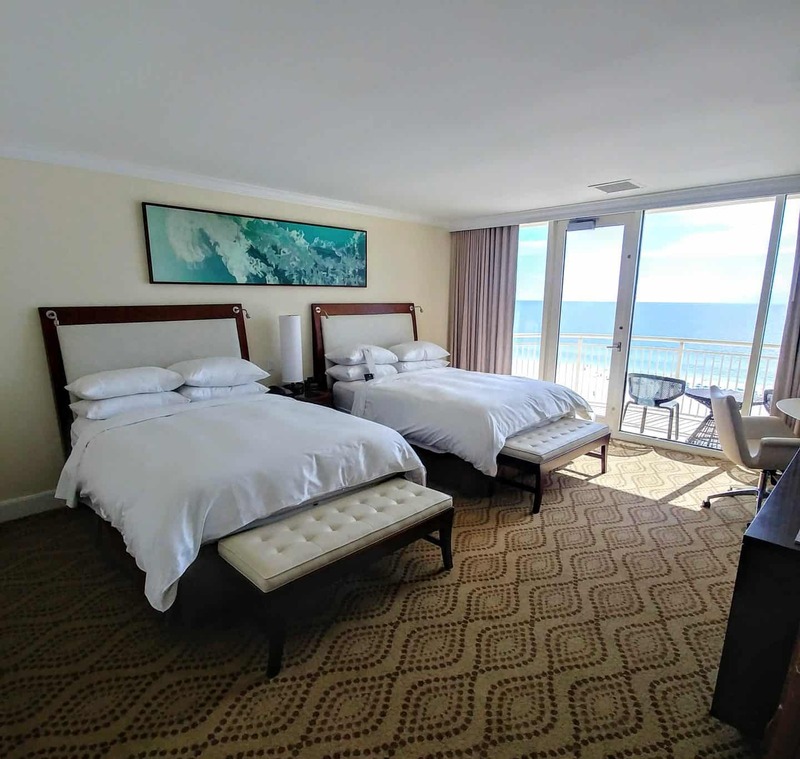 From the moment we stepped into the room, we were immediately mesmerized by the views of the beach, the Gulf of Mexico and the spectacular sunsets. Beginning November 20, 2018, you will have the option of the Adult-Exclusive Experience (21 and over) that will feature 93 private guest rooms and suites with Gulf of Mexico views, upgraded accommodations and amenities, complimentary breakfast, Adult-Exclusive rooftop pool, beach butler service, your own Vacation Planner & more. The JW Marriott Marco Island offers a new dimension in luxury and more ways than ever to work and play in Paradise. There are 10 Marco Island restaurants to choose from at the Marriott Marco Island. Select from indoor or outdoor seating in a casually elegant atmosphere at Ario restaurant. They are known for their signature 35-day, dry-aged steak or a local seafood specialty featuring globally inspired flavours. Unfortunately, we did not have a chance to dine here as it was extremely busy. I would highly recommend making reservations. Maia is a great spot for breakfast Marco Island. 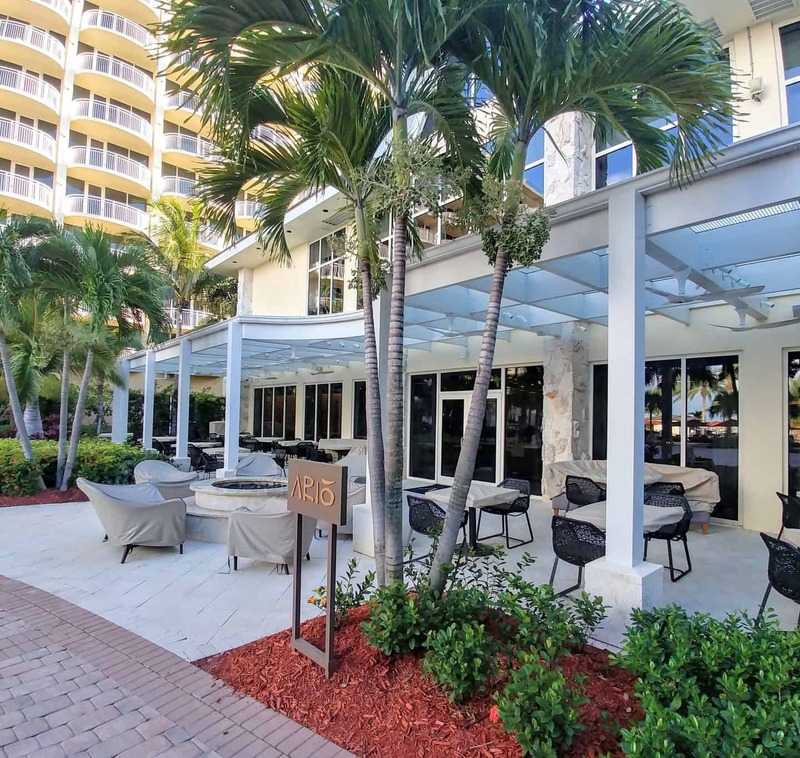 It is a casual coastal restaurant with a great selection from the buffet. 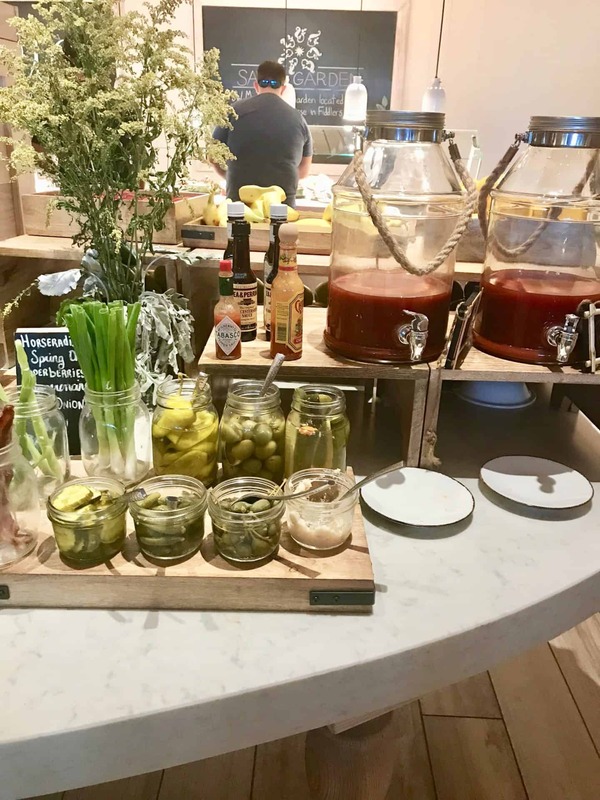 From delicious omelets to Belgian Waffles and Florida Lobster Benedict, the dining options were a great start to our day. Trust me, you will not be hungry for lunch. Cafe San Marco was our morning stop for our caffeine fix. 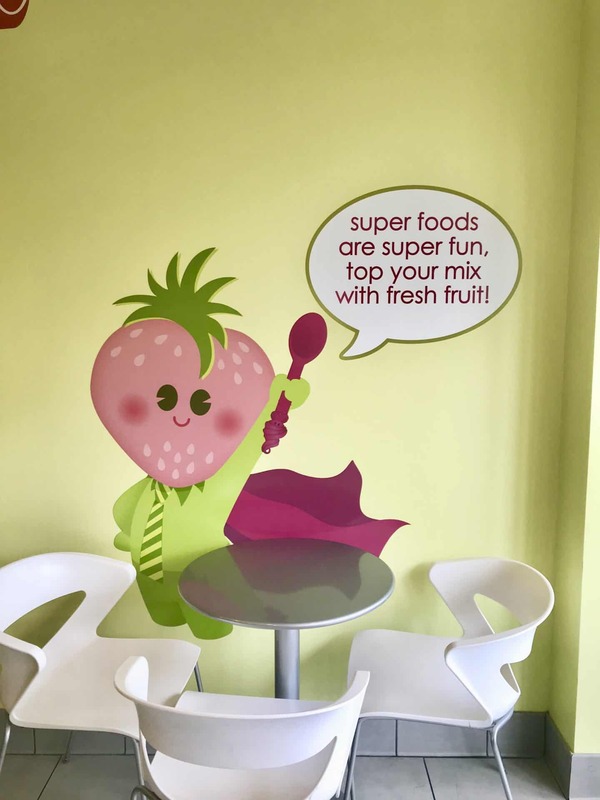 They offer a variety of different coffee or tea beverages as well as snacks. It’s a great place to sit and enjoy your morning coffee on the terrace overlooking the pool. 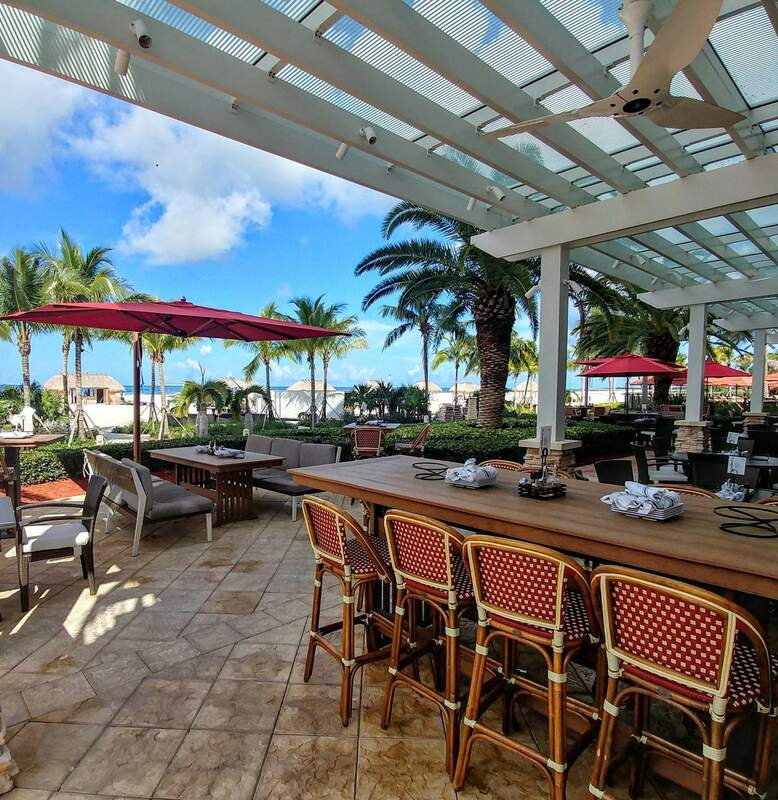 Enjoy casual dining in an oceanfront setting at Quinn’s on the Beach at JW Marriott Marco Island. They offer Caribbean-style seafood or sandwich specialties with mixed drinks, craft beer or wine. This restaurant on the beach and has a Fire Dancer Show at sunset. I would highly recommend eating here and make sure you come around sunset for the best seat in the house. 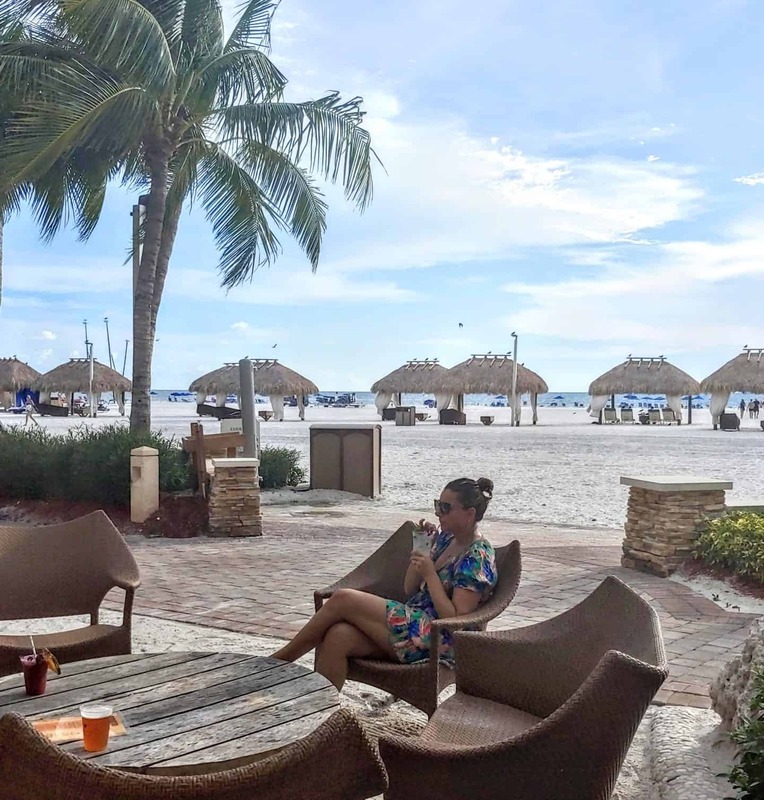 Experience relaxed dining at the tiki bar and grill on the water, with panoramic Gulf views and live entertainment on select nights. A Marco Island Rum Bar experience not to be missed, Kane offers Indonesian street foods, specialty cocktails and more. The day is not complete without a frozen yogurt treat. They have a selection of 14 flavours as well as many toppings to choose from. They also have Gluten-free, vegan and no high fructose corn syrup options available! The Spa by JW offers a relaxing and personalized spa experience. 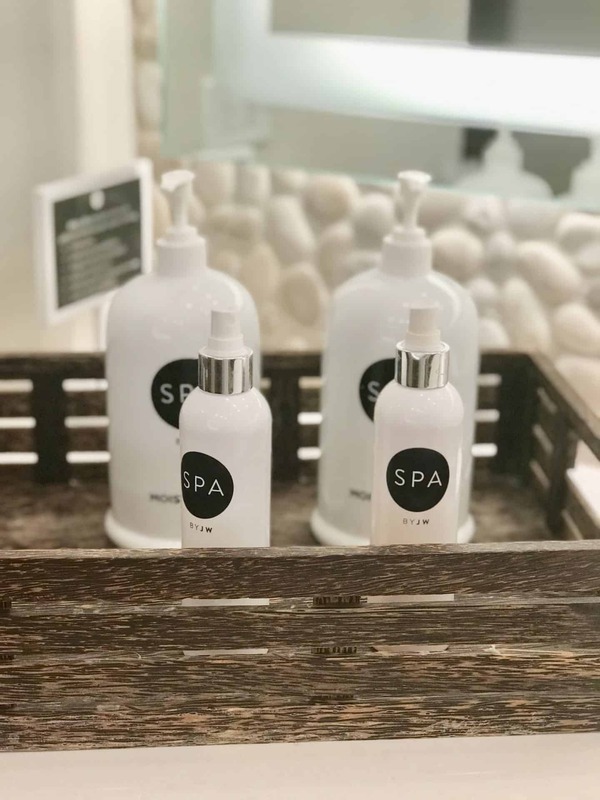 Whether you’re looking for express type service (think mani & pedi) or full-length treatment, the SPA is sure to have something for you. You can see the full spa menu and pricing HERE. I enjoyed the Remarkable Results signature treatment that included the advanced Microdermabrasion treatment followed by a pure Oxygen Cocktail Facial. My skin looked so revived after my spa treatment. My husband even said my skin was glowing. 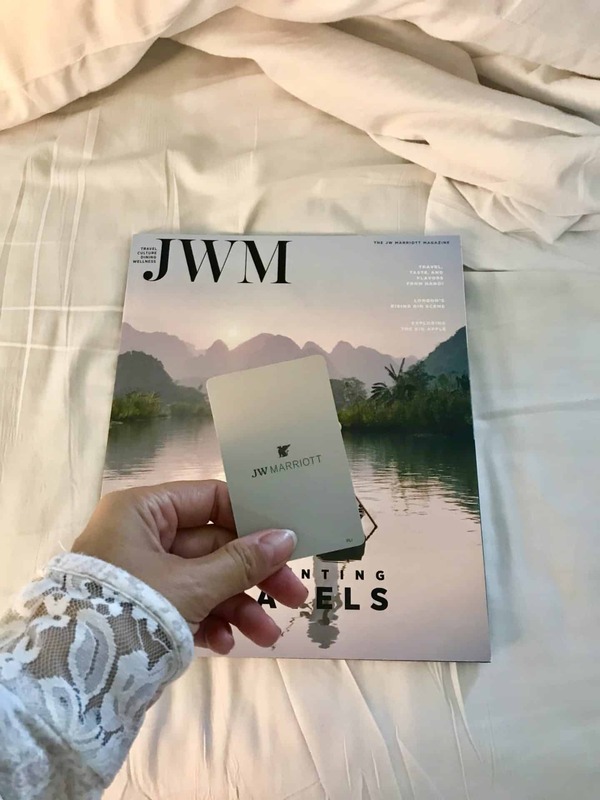 With a day pass, you can enjoy the JW Marriott Spa even if you are not experiencing a spa treatment. The day pass includes the use of the private spa fitness center, fitness classes, sauna, steam room, plunge pools, relaxation lounge, and the private outdoor Spa pool. 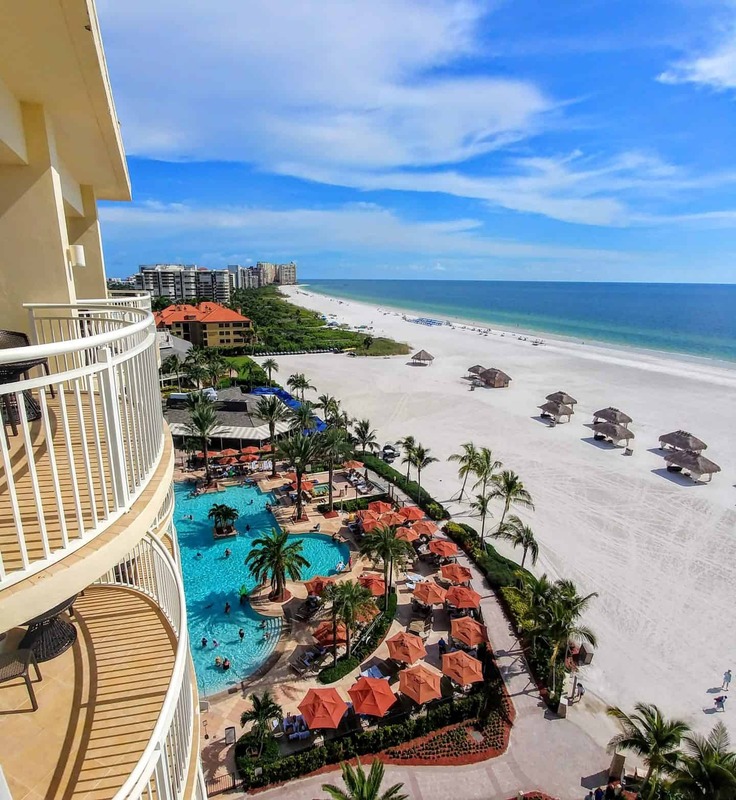 The Marco Island beach is an extremely family friendly beach. 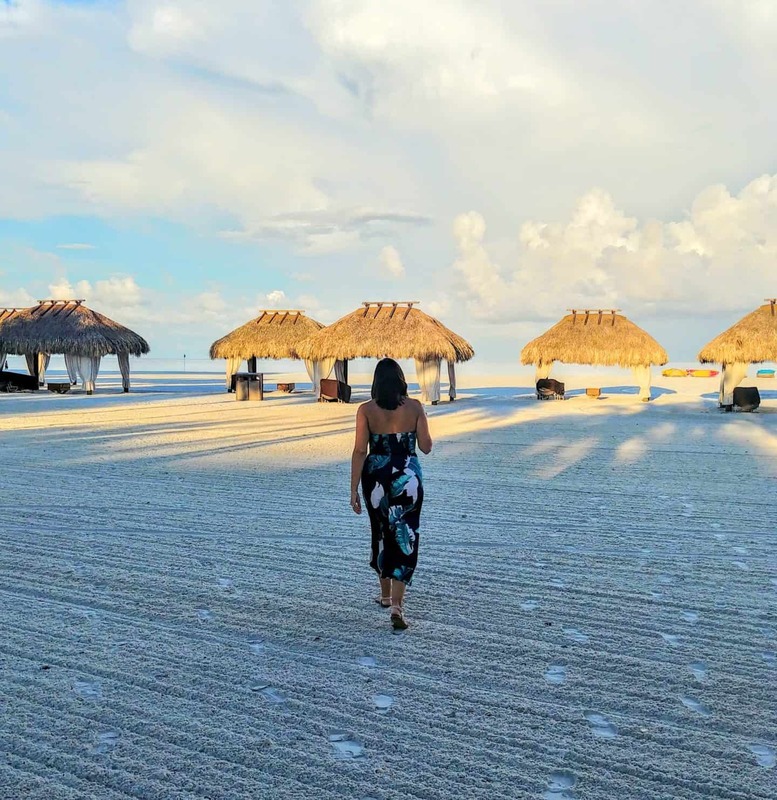 The Marco Island beach is lined with white sand and loads of seashells. If you love shells then you will want to get up at dawn to find that special shell, you will not be disappointed. The Gulf of Mexico water is generally calm and shallow by the shore making it great for children. 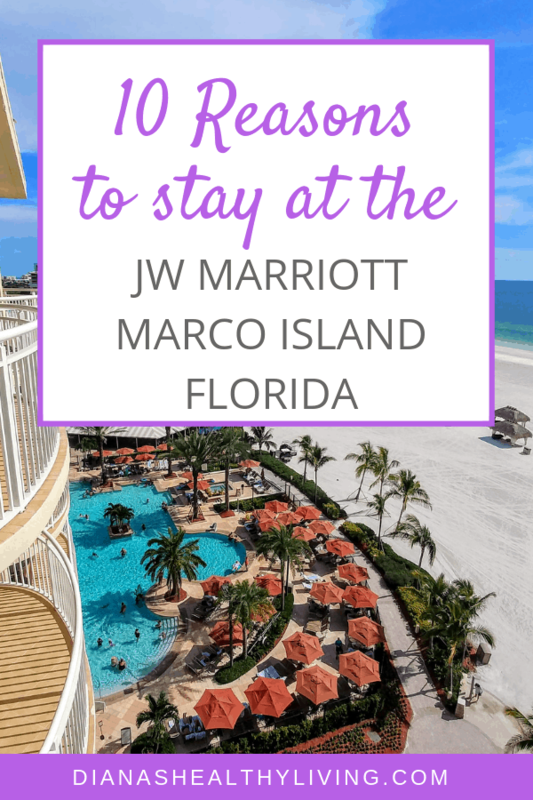 The JW Marriott Marco Island is located on the best beach in Marco Island and offers the best beach chickee hut rentals that provide a shady retreat with 4 cushioned chairs and 5 bottles of water. Reservations are required. What I love most about Marco Island beach is the depth of the beach. Check out the JW Marriot Marco Island Webcam. 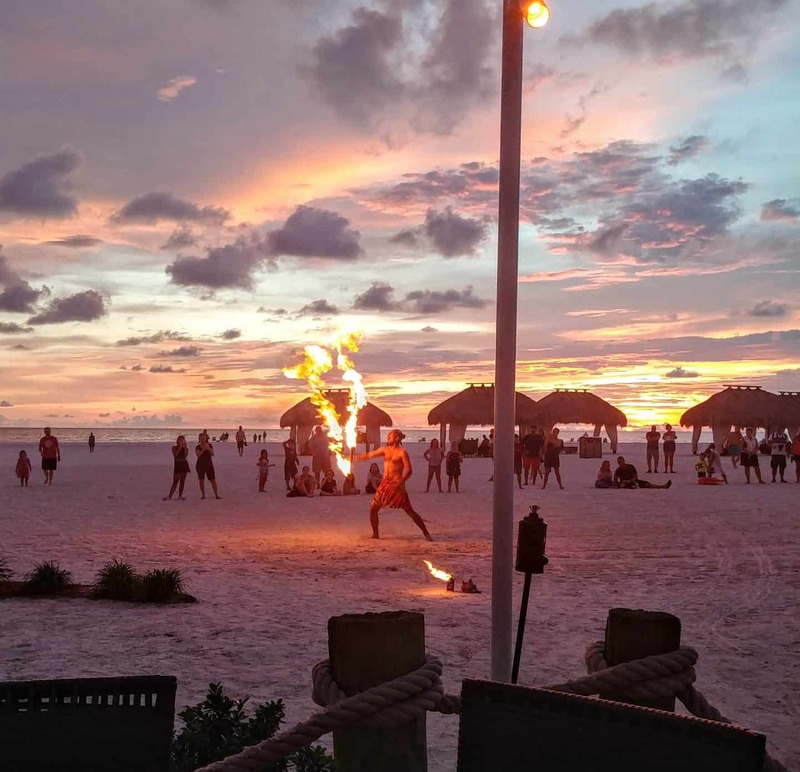 Don’t miss the nightly Fire Dancer show that begins at sunset at Quinn’s. This is a spectacular show that you can’t miss. It will truly feel like you are on a tropical resort. 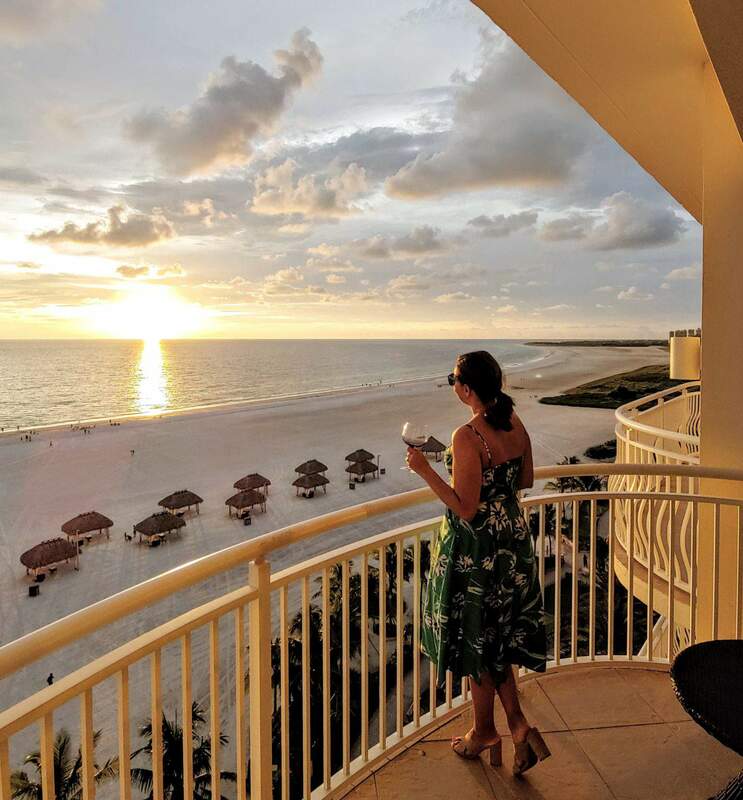 The Marco Island sunsets are the perfect way to end the night. They are absolutely stunning and probably some of the best sunsets I have ever seen. The nightly, live Fire Dancer show, which begins at sunset at Quinn’s is a high-energy performance that pays homage to the Balinese inspiration and design aesthetic of the resort. I haven’t seen anything like it. The entire family will enjoy the show. Do you love golf? If you get tired of one of the three pools or the amazing beach then head to one of the JW Marco Island resorts two private golf courses with a combined 36 holes of championship golf. 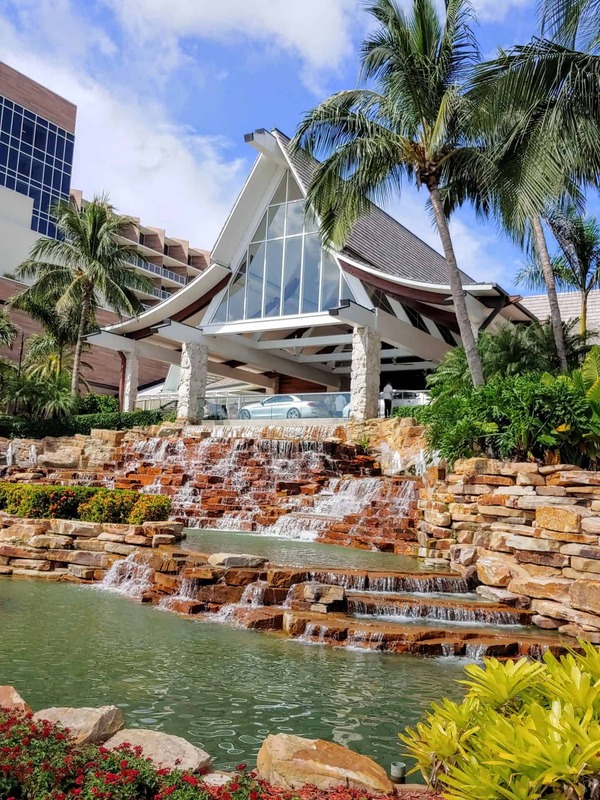 Only resort guests can tee off on the recently redesigned Rookery Course which features wall-to-wall Platinum Paspalum turf or the Hammock Bay Course, emphasizing the boundless beauty of the area’s natural environment. The Tiki pool is great for families with children as it has a popular waterslide and waterfall to keep kids entertained for hours. Relax, read a book or nap by the poolside at Quinn’s Outdoor Pool. Surrounded by palm trees, lush tropical foliage and cooled by Gulf breezes, it’s the perfect Florida daytime retreat. Want to enjoy the pool in a private oasis? head to the Spa by JW Pool and get your day pass to enjoy some quiet relaxing time by the pool. If you feel like getting some shopping in during your stay at the JW Marriott Marco Island then you must hit up one of the many shops located on the main level of the hotel. 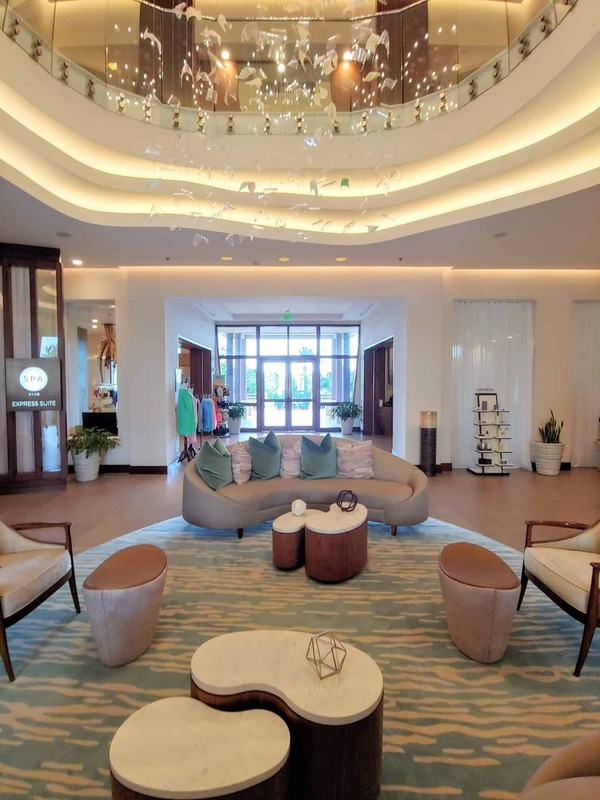 Everything from fashion, unique jewelry pieces as well as a gift shop with branded JW Marriott Marco Island items. Marco Island has some of the best sunsets I have ever seen. I would highly recommend dinner at Quinn’s that will get you front row seats to the nightly Fire Dancer show as well as the magnificent show from mother nature. It truly is magical watching the sun dip into the Gulf of Mexico. There is a legend of the green flash. According to those who have witnessed it, the green flash is a dazzling phenomenon that lasts just seconds. It occurs at the top of the setting sun right before it’s about to dip below the horizon. Suddenly a magical pulse of green appears on the crest of the sun. Marco Island is such a family-friendly island. We always felt safe visiting Marco Island and letting our kids run around and enjoy the beach. 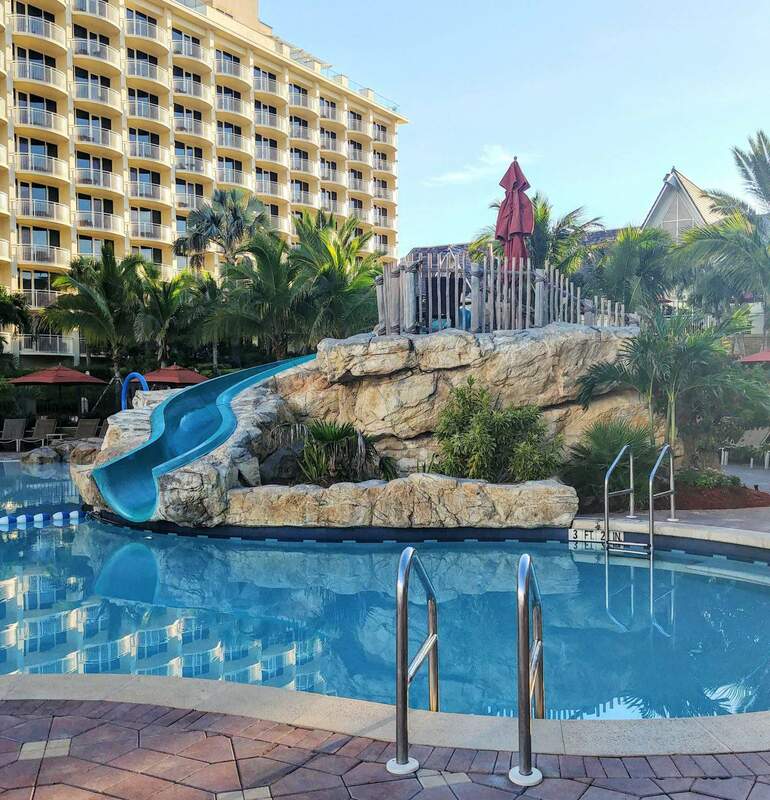 The JW Marriot Marco Island Beach Resort is a family friendly resort that has activities to keep the kids busy. They offer a Tiki Tribe Discovery Day Camp for children ages 5 -12 years old. This is a wonderful, safe option to let your kids explore and learn in safe hands. Of all the places we have visited in Florida, this is the most comfortable place to enjoy yourself with your kids. 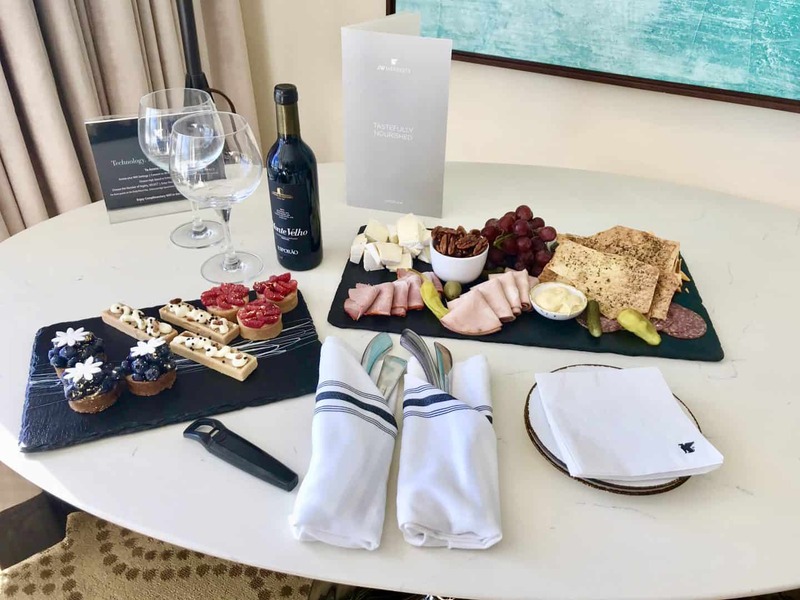 In our years of travel, we have certainly visited many hotels, inns, and resorts but the JW Marriott Marco Island is special for us. From our very first visit with our kids, this resort was and still is the “heart and soul” of one of the most beautiful treasures of Florida! 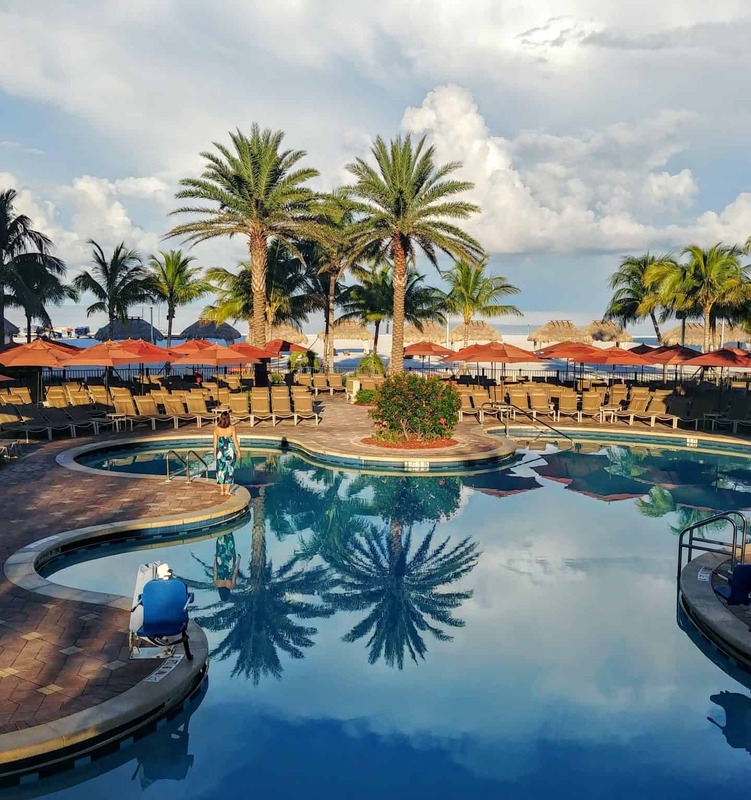 I would even say to anyone who has never been to Florida, that Marco Island should be their first place to visit and there is no better place to start than the Marriott Marco Island. This Marriott, as well as many others, feels expansive yet easy to get around. Every amenity you can think of is here and all delivered with that friendly Florida service which we’ve come to love! Come to see why this will always be one of our favourite places to visit! Thank you so much JW Marriott Marco Island. We have such a wonderful time at this beautiful resort. We can't wait to visit again. NOTE: Thanks to the JW Marriott Marco Island Resort for hosting my stay. As always, all opinions and recommendations are 100% my own.